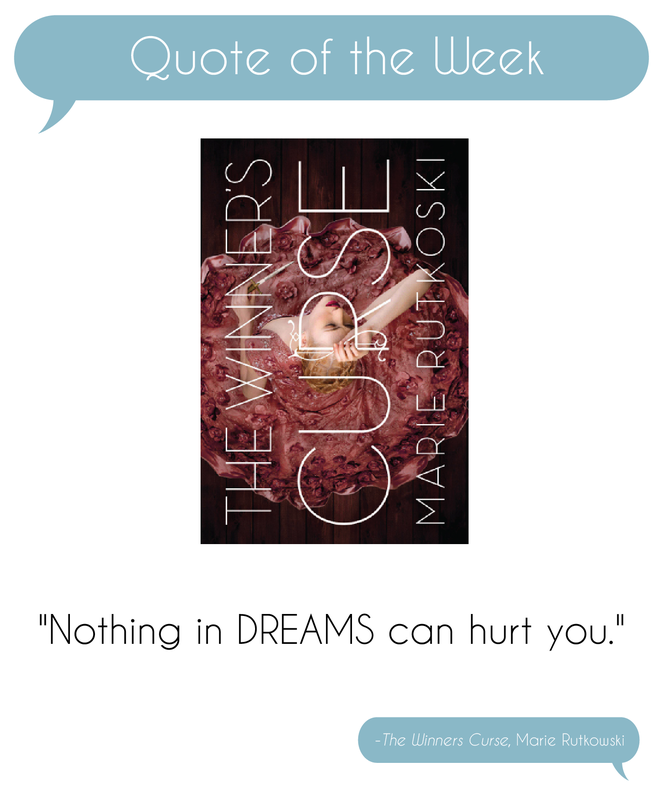 This entry was posted in Quote of the Week and tagged Marie Rutkowski, The Winners Curse. Bookmark the permalink. Beautiful quote from a beautiful book! This is definitely on my favorite books of the year list. Aw this book was so great! And I agree with the quote. I had the most horrifying dream last night and was so relieved when I woke up! I just picked this one up a few days (or weeks) ago, and have heard SUCH amazing things! Sadly, I have no idea when I’ll be getting to it, but hopefully soon! Awesome quote! I won a copy of this a few months ago and have been waiting to receive it! I can’t wait for a chance to read it!